← Is the ‘Cruise Ships for La Perouse’ Business Case likely to stack up? 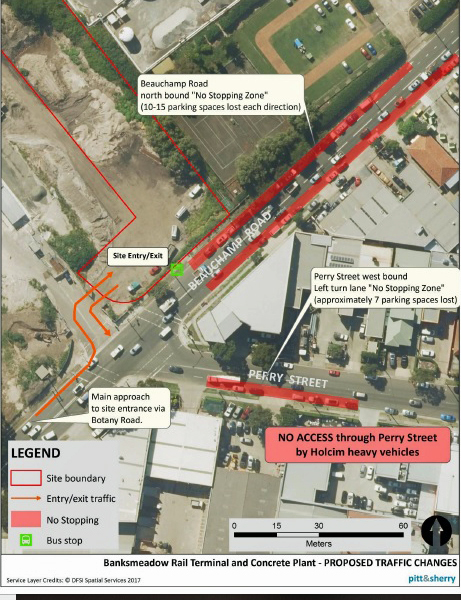 Holcim is seeking approval for the construction and operation of a concrete batching plant fronting Beauchamp Road, next to Veolia at Banksmeadow. NOTE: The Botany Randwick Industrial Land Use Safety Study Overview published in 2001 has not been updated. Response by Fire and Rescue NSW October 2016 after changes made. This entry was posted in Uncategorized and tagged Cumulative Risk, TRAFFIC, Trucks. Bookmark the permalink.